You can read here the full poem, My God, It's Full of Stars. 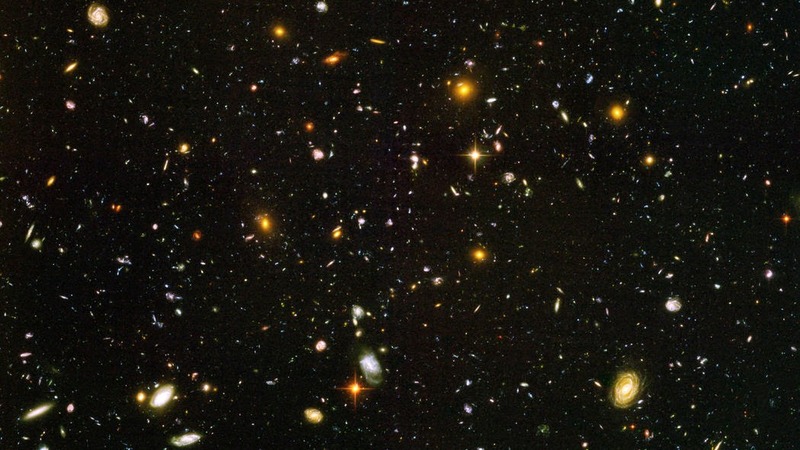 Hubble Ultra Deep Field - capturing some of the farthest galaxies in the universe. 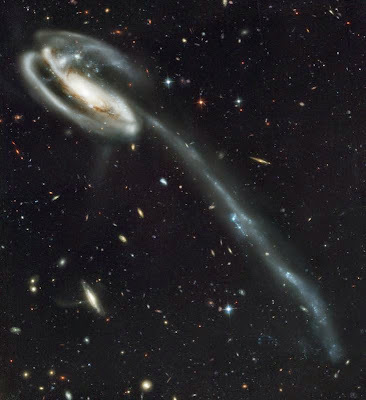 Tadpole galaxy (or Arp 188) - an image of one galaxy being torn apart by the gravity of larger neighbor. You can imagine being part of a solar system in the torn stream of stars - and the breathtaking view you may have of the larger spiral galaxy. 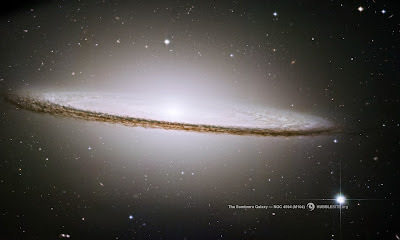 Sombrero galaxy (or NGC 4594) - a nearby galaxy located "only" 28 million light years away. We are seeing the galaxy edge-on. In my previous life, I looked for signs of young stars in this galaxy, but didn't find much (for example here and here). 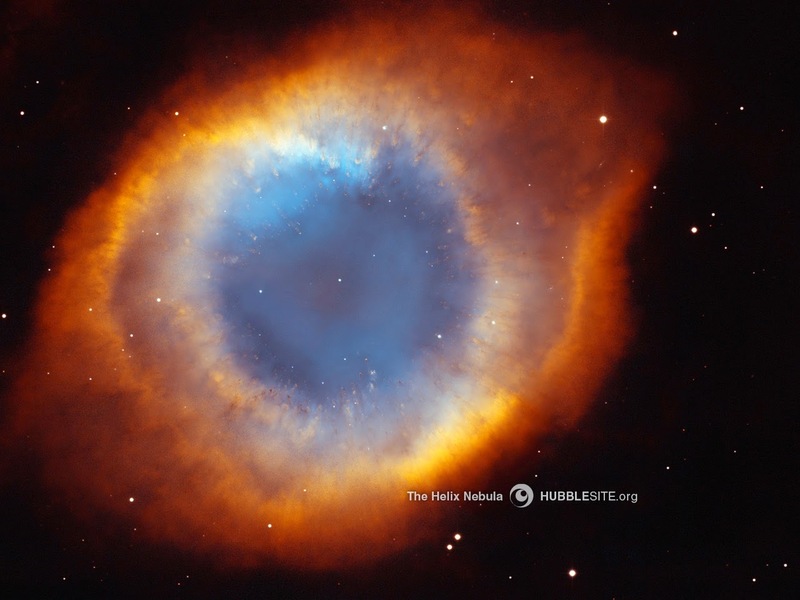 Helix Nebula - this is a planetary nebula and our Sun's future death is most likely going to be this spectacular. 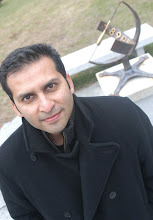 Inspired by this image, you can also read my article in Express Tribune: Anticipating a Glorious Death of Our Sun. 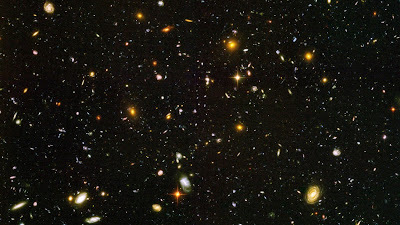 If you want more, you can see a collection of Hubble photos by New York Times. But heck - the best place is the official Hubble site. All of the images are breathtaking! Enjoy. Interesting stuff, thanks for sharing that! beautiful, i just love this connection between mysticism and science.